The new visitor’s center at Ash Meadows NWR. Interpretations: Recently Ash Meadows National Wildlife Refuge celebrated it’s new visitor’s center by hosting an open house. It’s a wonderful new facility located in the heart of the refuge and just a short distance from the old visitor’s center. The old center was a double-wide trailer, and after many years of service it was really showing its age. It’s hard to keep something up that was never built to last in the first place. The new center has many new interpretive displays, informational kiosk, videos and various types of multimedia. All of it is very informative, artistic and inspiring. It’s a much larger, professional facility and should serve the visitor’s and staff of the refuge for many years into the future. Almost 500 visitors came out that day for a wonderful open house event. Out on the Crystal Springs boardwalk behind the new center, several information stations allowed folks to learn even more about the wonders of Ash Meadows NWR. 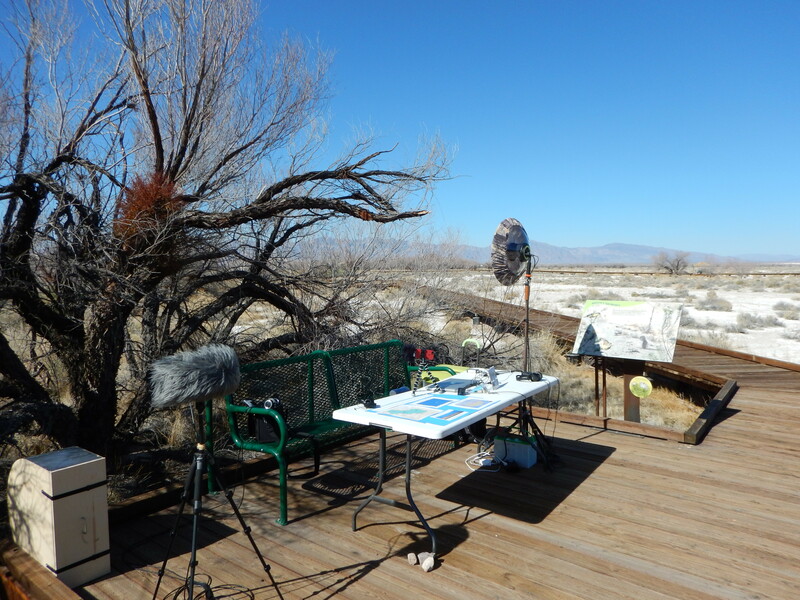 I had the pleasure of demonstrating the equipment that I use to record the soundscape of the refuge. Visitors got to wear headphones and listen to sounds picked up by a parabolic dish microphone (an exceptionally powerful microphone.) The timing for a few lucky listeners was such that they were able to hear a Phainopepla call from his nearby perch. The bird makes a home at the refuge during the cooler months. Hearing its soft whistle through a dish mic really made for a memorable experience.